A fundraising night was held in support of Prostate Cymru’s Sports & Community Executive Christopher Leyshon’s 100,000 challenge on Friday 25th January. 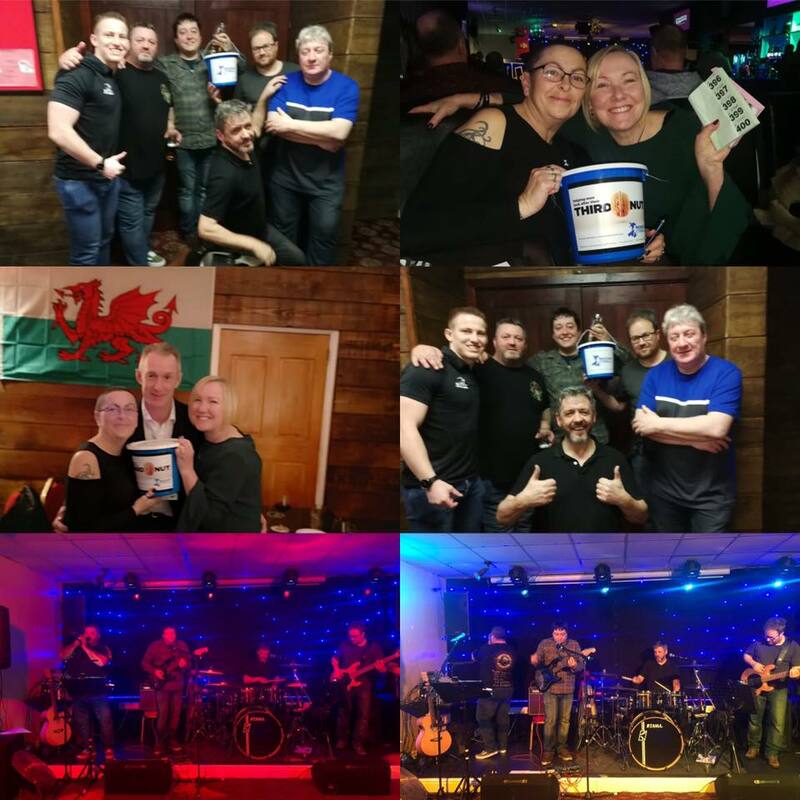 The fun evening took place at The Cabin Disco Bar in Porthcawl, a popular coastal bar in the seaside town and raised a total of £725 for Prostate Cymru, the leading prostate health charity in Wales supporting men with benign prostate disease and prostate cancer. Many local supporters, customers of the bar and even Wales’ Assistant Coach Rob Howley attended the fantastic event. Local band Ryder featuring Robbie Shaw performed at the event free of charge, donating their fee to the charity. In addition to the great entertainment, a small auction, raffle and collection took place at the event to help raise funds for Prostate Cymru. The event was held in support of Chris’ 100,000 challenge where he aims to raise £100,000 over the next few years to help fund its first ever helpline and to get PSA testing facilities on “The Boys Bus”, the charity’s awareness vehicle. The fundraising event was one of many smaller events supporting Chris’ fundraising. His main activities to reach his target include climbing mountains worldwide, aiming to summit different peaks that will total 30,480 vertical metres (the equivalent of 100,000 feet). Chris is fundraising offline and also has a JustGiving page open for online donations.